Dirk Frans, director of the International Assistance Mission, said the eight-member medical team, which also included one German, one Briton and two Afghan interpreters, was driving to Kabul from an eye clinic in northeastern Nuristan province when they were killed in Badakhshan province to the north. The group had decided to head through Badakhshan to return to the capital because they thought that would be the safest route, Frans said. Among the dead was team leader Tom Little, an optometrist from Delmar, New York who has been working in Afghanistan for more than 30 years, Frans said. Little was expelled by the Taliban government in August 2001 after the arrest of eight Christian aid workers — two Americans and six Germans — for allegedly trying to convert Afghans to Christianity. He returned to Afghanistan after the Taliban government was toppled in November 2001 by U.S.-backed forces. Provincial police chief Gen. Agha Noor Kemtuz said the victims, who had been shot, were found Friday next to three bullet-riddled four-wheel drive vehicles in Kuran Wa Munjan district. He said villagers had warned the team that the area was dangerous, but the foreigners said they were doctors and weren’t afraid. He said local police said about 10 gunmen robbed them and killed them one by one. He said the two Afghan interpreters were from Bamiyan and Panjshir provinces. A third Afghan man, who had been traveling with the group, survived. “He told me he was shouting and reciting the holy Quran and saying ‘I am Muslim. Don’t kill me,'” Kemtuz said. Kemtuz said the survivor told him that the group was surrounded by gunmen and then attacked. Kemtuz speculated that robbery could have been a motive in the killings. Robbery my rear-end. The robbery motive was ancillary. We know what the primary motive was. 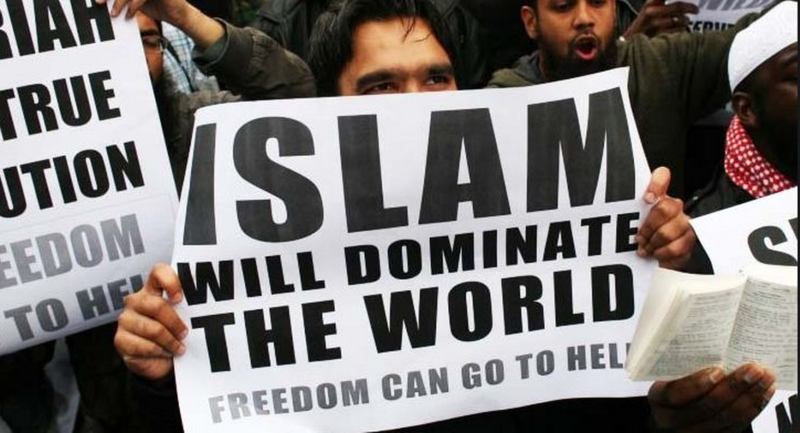 And sooner or later, the West will have to confront it, not as a religion, but as a political ideology purposed in having us all submit or be destroyed. The IAM website can be viewed here. I’m of the firm belief that those who were killed have been welcomed into the arms of their Savior. They are the true martyrs.